Properties in The Cove at Park Meadows average 4.9 out of 5 stars. 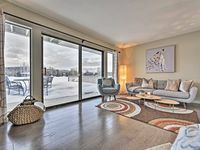 Beautiful, Newly Redecorated Town Home, Stunning Mountain Views. Very High End! Property 2: Beautiful, Newly Redecorated Town Home, Stunning Mountain Views. Very High End! Property 4: Sleepy Street But Close To All The Action.Perfect for your whole family.Perfect! 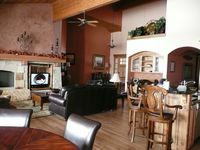 Property 8: Amazing condo with mountain views, upgraded throughout, HDTV, gourmet kitchen, hot tub! Spacious Five Bedroom Townhome Sleeps 12! Book Today! Property 10: Spacious Five Bedroom Townhome Sleeps 12! Book Today! Fully Remodeled Beautiful Park Meadows Home! Property 13: Fully Remodeled Beautiful Park Meadows Home! Luxury 6BR Modern Park City Home - Stunning Views! Property 14: Luxury 6BR Modern Park City Home - Stunning Views! Property 22: Thinking 'SNOW' but dreaming 'SUMMER'? Lovely condo with fireplace, washer/dryer - great location! Property 23: Lovely condo with fireplace, washer/dryer - great location! Property 24: 2019 Snow Report: AMAZING!! Upgraded condo near bus route, HDTV, Hot Tub, Great Deals! Property 25: Upgraded condo near bus route, HDTV, Hot Tub, Great Deals! Stunning 4 bedroom Home in Park Meadows with Ski Resort Views! Property 29: Stunning 4 bedroom Home in Park Meadows with Ski Resort Views! Perfect Views & Location Can't Be Beat for Vacation Fun! Property 35: Perfect Views & Location Can't Be Beat for Vacation Fun! Property 36: Beautiful 4 Bedroom Townhome, Directly on golf course, gorgeous views! Hot Tub! Property 43: Romantic cozy cottage! Remodeled 2 BD + Loft 3.5 Bath townhome w/ private Hot Tub and shuttle access! Property 46: Remodeled 2 BD + Loft 3.5 Bath townhome w/ private Hot Tub and shuttle access! Property 49: Beautiful views of ski slopes! Convenient to everything! Perfect size for our family. Owner very responsible for customer service. I would stay there again. Close to Park City but not high price. It even had a humidifier for use. Well kept place with a nice sound system for music.